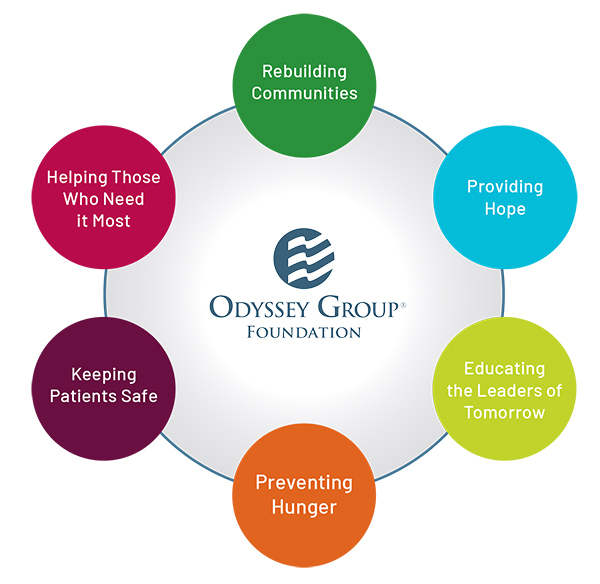 The Odyssey Group Foundation provides funding to charitable organizations active in communities in which its employees live and work, as well as those dedicated to worldwide disaster relief efforts. The Foundation’s “Good Works” encompasses cancer research and healthcare, education, human services and disaster relief, which includes help to rebuild homes, schools and hospitals and provide medical supplies, improve access to food and water, assist with community mobilization and enable economic recovery. Since its inception in 2007, the Foundation and its business affiliates have pledged over $45 million to more than 300 charities around the world.